Angela grew up in the Northwest of England, after completing a Textile Design degree at Leeds University, she moved to the East Midlands to work in clothing design then education. 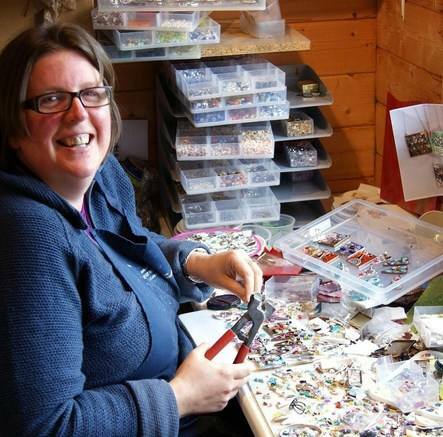 Now based in South Lincolnshire, working from her garden studio. She enjoys using a wide range of materials, hues, textures and assembly methods to develop a style of mosaic that encompasses these techniques, bringing shape and relief to create contemporary art pieces. Angela gains inspiration from nature and human form though folk art and style movements. For me mosaic, as a medium, is an exploration of choice and selection to create an effective and durable solution, through picking, cutting, laying and combining materials. The art form also reacts with its environment through the reflection of light giving an extra fascination.